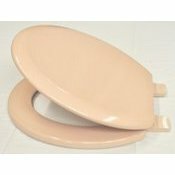 Bemis coloured toilet seats made from resin bonded wood and finished in avocado, black, blue, champagne, ivory, pampas, pergamon, pink, red, soft cream, sky blue, white and whisper grey. 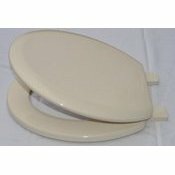 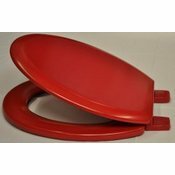 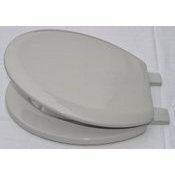 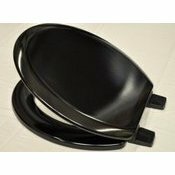 Bemis toilet seats fit standard size toilets and comes with easy to fit adjustable hinges. 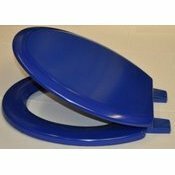 Dimensions - 370mm Wide x 425-445mm Length. 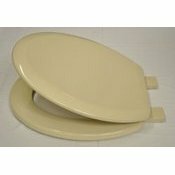 Free delivery with all Bemis toilet Seats, usually 1-2 working days. 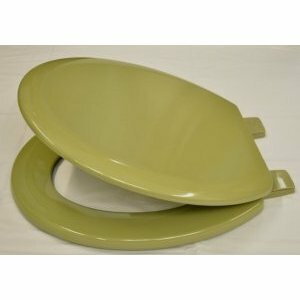 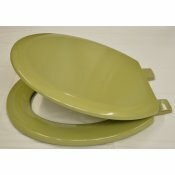 These coloured Bemis toilet seats can be collected from our showroom in Epsom (please check availability first) or ordered from our online store at www.epsombathrooms.com All prices are discounted and include fast free delivery, usually 1-2 working days.